* Make the [Escape] key to behave like the [Close] button. 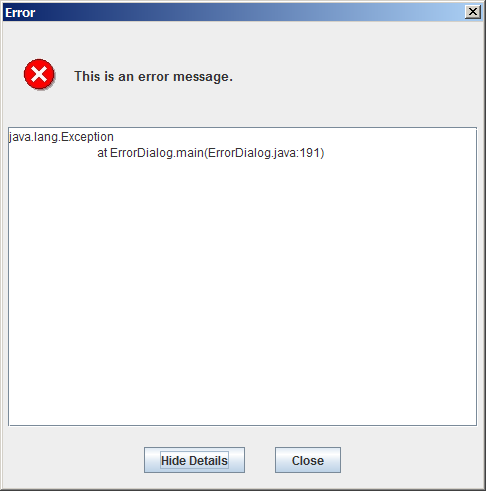 Download the entire example source code (Eclipse project): errordialog.zip. I hope all this would be helpful to anyone. Enjoy! Similar dialog compoment has been already provided by SwingX project. What about variable “It” used in for loop. It’s not resolved and i don’t know how should i declare it.